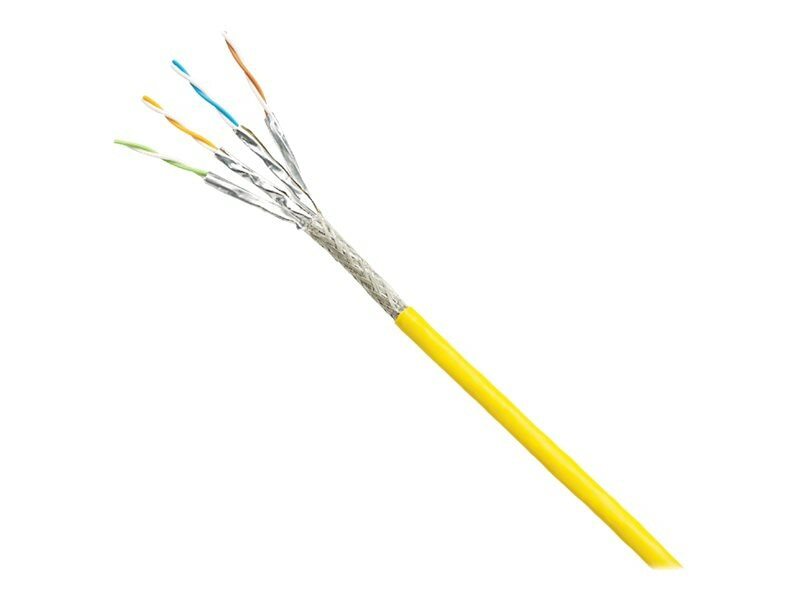 Category 6, industrial, 4-Pair, S/FTP copper cable. Conductors are 24/7 AWG construction with PE insulation. Conductors are twisted in pairs, each of the 4 pairs are surrounded by a metallic foil with a braided shield and protected by a flame-retardant and halogen free (PUR) jacket, red.